Hello and Welcome! June here, wishing you a Happy St. Patrick's Day! This fun place deserved fun paper and I was so excited to get my hands on Quick Quotes' Windsong 104 as it was just begging to be colored. And what better way to color it than with Powder Puff Chalking Inks. 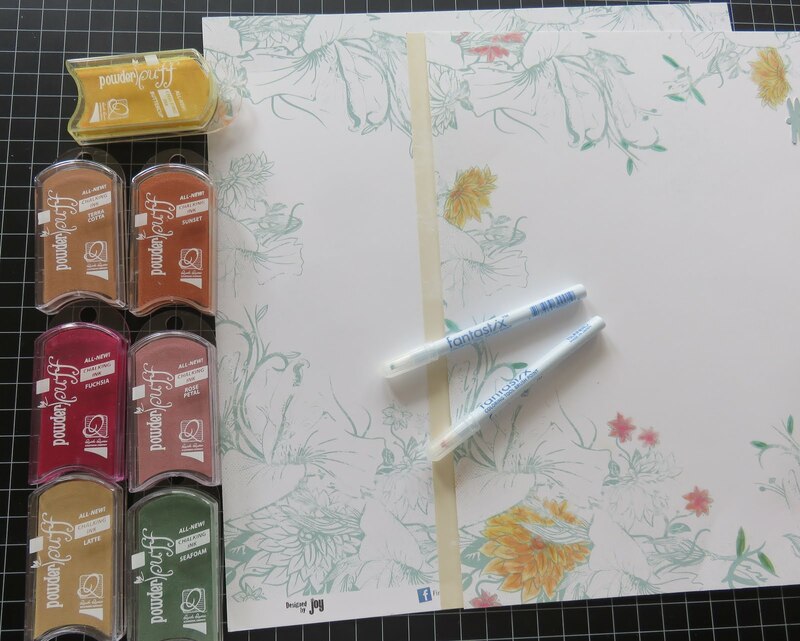 Using Fantastix coloring tools, you can use turn your ink pads into markers! Just touch these sticks into your ink and color away. I used Buttercup, Terra Cotta, Sunset, Fuchsia, Seafoam & Rose Petal inks to add touches of color around the page and customize it. So many Quick Quotes paper collections work together - I love that! 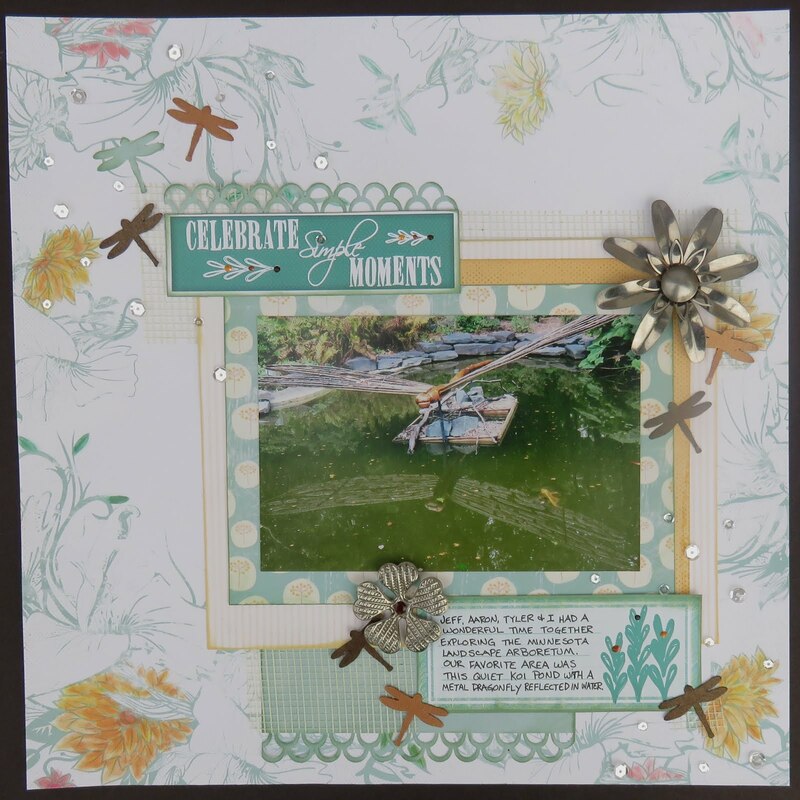 The photo is layered with Windsong WS101 and both sides of Chiffon 101. 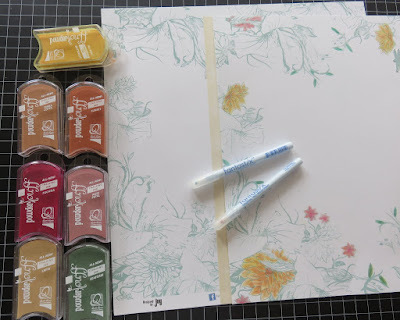 For the title and journaling block, I used Sheer Joy Strip SJ600. All of the papers were edged with Seafoam and Latte Powder Puff Chalking Inks. For embellishing details, I added Quick Quotes Unique Rustic Patina Metal Embellishment flowers. 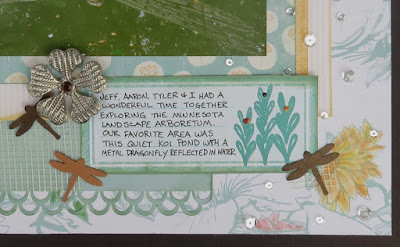 These metal flowers were perfect for a page about a metal sculpture. I added Pretty Pink Posh clear sequins for a magical sparkle, and Liquid Pearls for depth and color. Thanks for stopping by today and check out all the fun new products at the Quick Quotes Online Store.